Shrouded in inky mystery smoky quartz is relatively unknown. 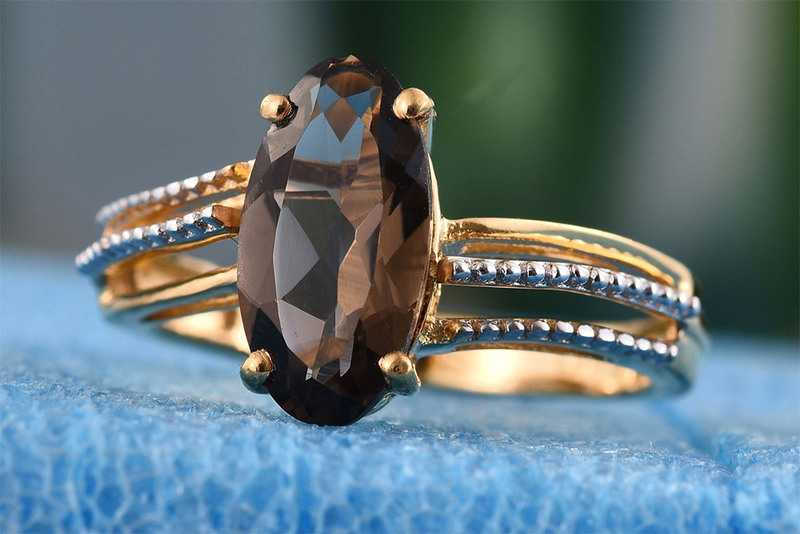 Recent years have seen it rise in popularity, as more gem lovers discover the captivating shades of gray, brown and black present within this variety of quartz. Follow along as we uncover the exciting story behind this captivating gemstone. Few gemstones share the seductive hues possessed by this stone. 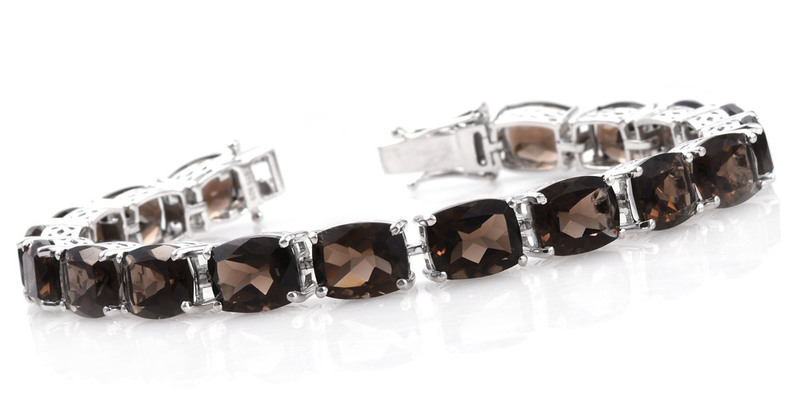 Available in shades of hazy gray, chocolate brown, and inky black, fewer jewels measure up when compared side-by-side. Also, most of these stones aren’t frequently found at the attractive rates and sizes offered by smoky quartz. Having been readily available throughout history, a large body of lore was never built around this gem. Despite this, its contemporary appeal has led it toward securing a niche of its own. Designers use the stone for its pleasing neutral color and tribal quality. Being abundant, it’s also very easy to own large specimens, making the gem ideal for those who desire a jewelry piece that’ll start conversations. Though readily available worldwide, there are a few locations of note that produce rough material. Brazil is the largest supplier of quartz in general, and they also are the biggest suppliers of smoky quartz. Shop LC secures our supply from Brazil, mined from the Doce Valley of Minas Gerais. Scotland is another source of this gem. Valuable to the Scots, it is their national gemstone. The Cairngorms, a mountain range located in the eastern Highlands, produce a smoky, yellow-brown variety, known as cairngorm. The mountain range bestows its name to this variety of gem. Likewise, Cairn Gorm (Blue Hill), provides its name to the mountain range. Named for its smoke-like appearance. Color ranges from gray to brown to black. Learn more about this gem through our Education Center.